As your company moves to proactive data quality improvement, data profiling provides a robust methodology and toolset to discover quality issues before your customers do. This presentation discusses the advantages of proactive data quality improvement, how to set up an infrastructure (including stewardship) to support the effort, the gathering and documentation of data quality rules, what data profiling is, using data profiling for existing and new data elements, and what to do when you do find data quality issues. What data quality issues profiling helps you find. How to build templates for collecting data quality rules and a repository to store those rules in. The pitfalls of working with the business people-what works and what doesn’t. An iterative methodology for finding and then reviewing the results of data profiling. Building a robust data quality scorecard and using it intelligently. Implementing data quality rules during a data load. "He made it interesting, entertaining, understandable." "This course was very practical. Love it." David Plotkin is the Global Head of Data Stewardship for a large insurance company, working in Enterprise Data Solutions. He is responsible for rolling out data stewardship as part of an overall Data Governance and Data Management effort. This includes creating a stewardship strategy, training, and leading the stewardship community, as well as specifying the requirements for the data stewardship tool suite (Collibra and IBM). He has previously been a consultant for EMC, working on data quality, data governance and master data management engagements at client companies. He has also previously managed Data Governance at an insurance company and managed data quality at two large banks. He has been working with data governance, data modeling, metadata and data quality for over 25 years. 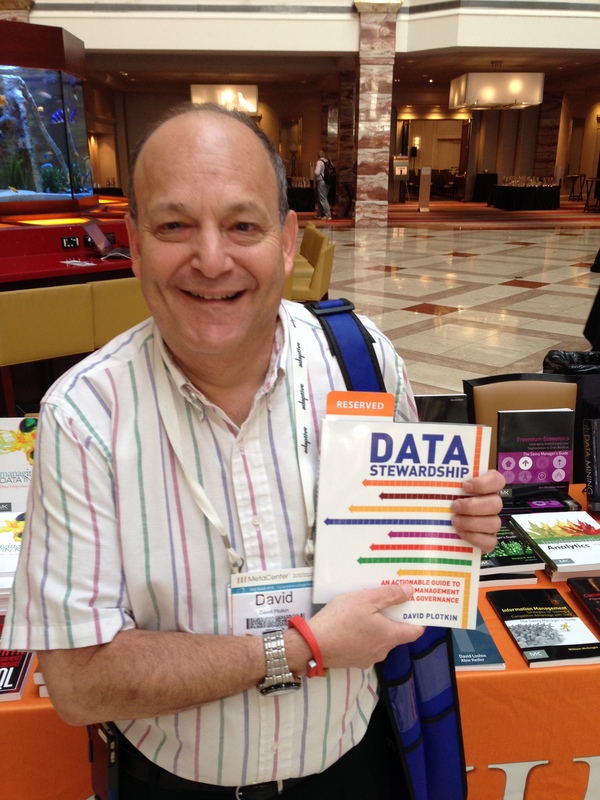 He is a popular speaker at DAMA chapters and conferences, and serves as a subject matter expert on many topics around metadata, data governance, and data quality.